Have you ever been to a Minor League Baseball game? Chances are you have. According to a recent article in the Sports Business Journal by Bill Sutton (link to full article below) MiLB draws nearly 42 million visitors each season with 14 million unique attendees in 2017. Their teams play in 43 states and can be accessed by more than 76% of the US population. 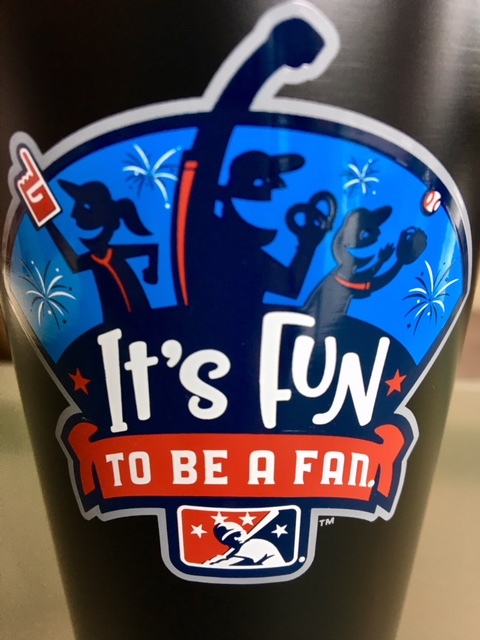 Their slogan is “It’s Fun to be a Fan.” I recently began following their social media for my baseball blog. They have a lot going on but MiLB tends to get skipped over by ESPN and is rarely mentioned on Sportscenter. Make no mistake though there’s nothing Minor about Minor League Baseball. Let’s start with their locations, there are a total of 248 teams with 160 in the United States meaning you probably have a Minor League Baseball team playing near you. Living in Coeur d Alene, Idaho the closest Major League Baseball team the Seattle Mariners are a 300+ mile drive away. However, my closer Minor League options are the Missoula Osprey of the Pioneer League, the Tri-City Dust Devils and the Spokane Indians from the Northwest League. The Spokane Indians play about 30 miles away and each summer I try to attend a game at Avista Stadium. I always try to coincide my ballpark visit with one of the Indians promotions. My favorite promotion is Yokes $1 family feast night when you can buy a soda, hot dog, or ice cream sandwich each for $1. Families get more bang for their buck at Minor League ballparks. At Avista Stadium there’s a dedicated Kids Zone where kids play during the games and with ticket prices starting at just $5 Minor League Baseball is an economical option for families. For me going to a Minor League Baseball game is a completely different experience than going to a Major League game. It’s more about who you’re with then where your seats are or who’s even playing on the field. I always know who the starting pitchers are before attending a Major League Baseball game. When attending a Minor League game my only concern is getting there by the time the National Anthem is sung. The relaxed pace makes you feel as if you can come and go with watching the game. You’re usually chatting with friends and family unaware if the home team is up or down by 8 runs. Entertainment is provided all game long by the silly on field promotions, colorful signage on the outfield wall or the antics of the odd-looking mascot. Did you know a Minor League Baseball team own the longest sellout streak in all of US professional sports? The Dayton Dragons have sold out 18 consecutive years through the 2017 season. They are a Single A affiliate of the Cincinnati Reds located an hour outside Cincinnati but have never won a championship during those years. They play at Fifth Third Field which has 7,230 stadium seats. Check out milb.com and look who plays close to you. Add a game to your calendar this season. Invite friends and family it doesn’t matter if they like baseball or not. Remember it’s just fun to be a fan.